Press Release: With the passing of SB 2047, the Illinois Department of Veterans Affairs has the ability to continue to serve Illinois veterans with the utmost care and fund operations at the four Veterans Homes geographically spread across the state. 1. 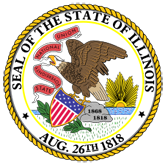 Illinois Department of Veterans Affairs Responds to Passing of the Stop Gap Budget (16-0490-IDVA_Stop_Gap_Budget.pdf).